Terminator Salvation Folding Knife Black﻿ with skull MC-TS02B﻿. 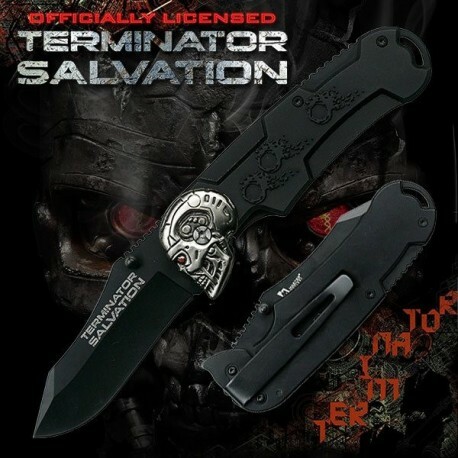 Terminator replicas. Collectible gift box. 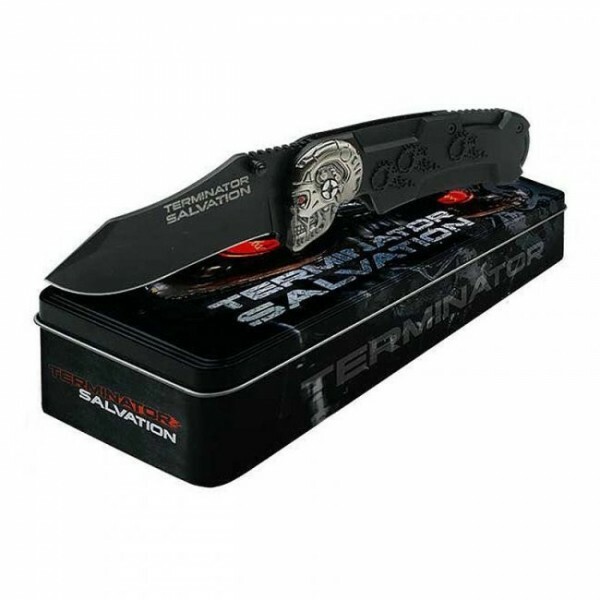 The Terminator Salvation folding knife is designed with a 3 1/8" 440 stainless steel blade and anodized aluminum handle. Bullet hole details adorn the handle, adding a unique touch.